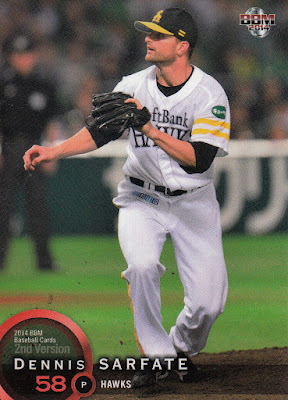 I got a package from Ryan in the mail today with all sorts of goodies - all the BBM and Epoch team sets for this year along with some other sets and singles. 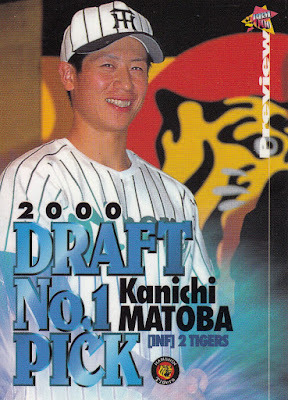 I'll be doing a bunch of posts based on what he sent me over the next week or so but I thought I'd start out with some singles. 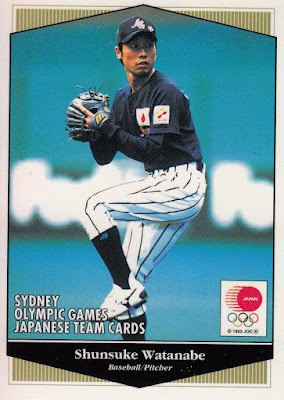 Ryan also found me another card from the baseball subset of the 2000 Upper Deck Japanese Olympic team set. 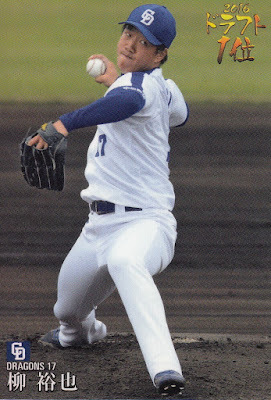 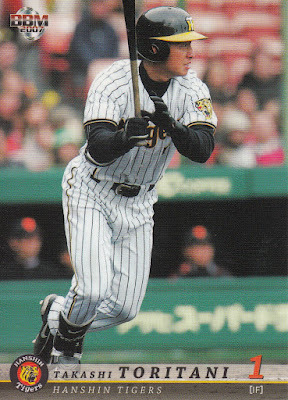 The card is of Shunsuke Watanabe and it's significant because it's one of the few "pre-rookie" cards of an NPB player. 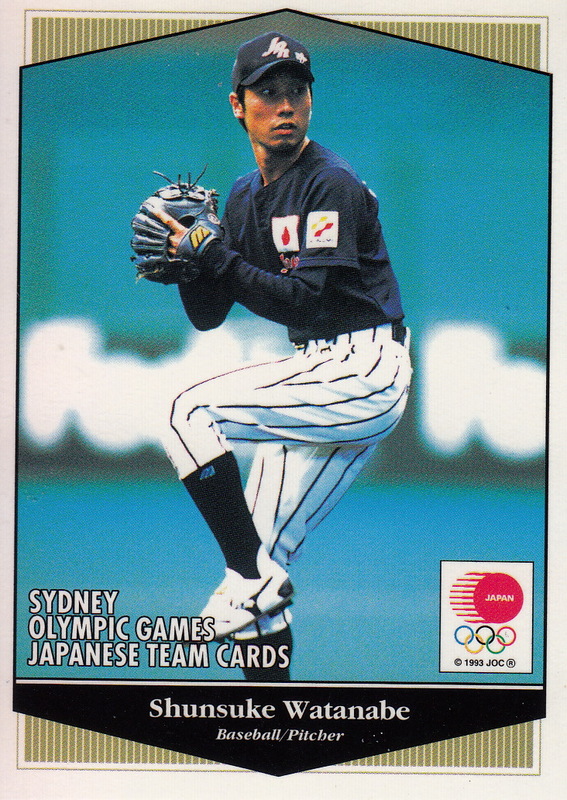 Watanabe was playing for Kazusa Magic of the industrial leagues when he was named to the Olympic team. 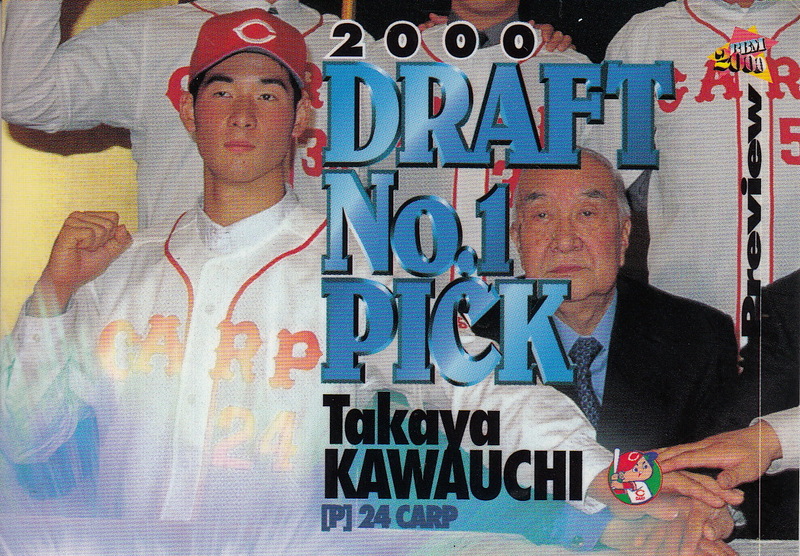 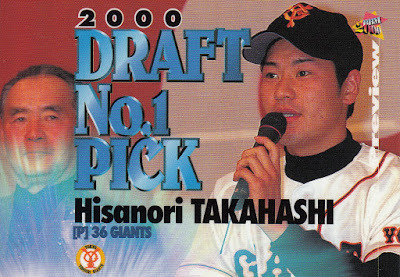 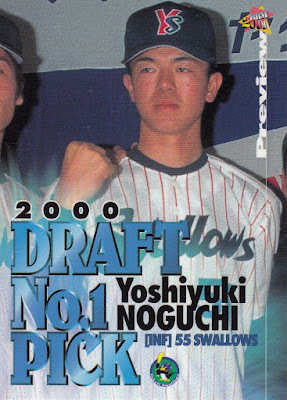 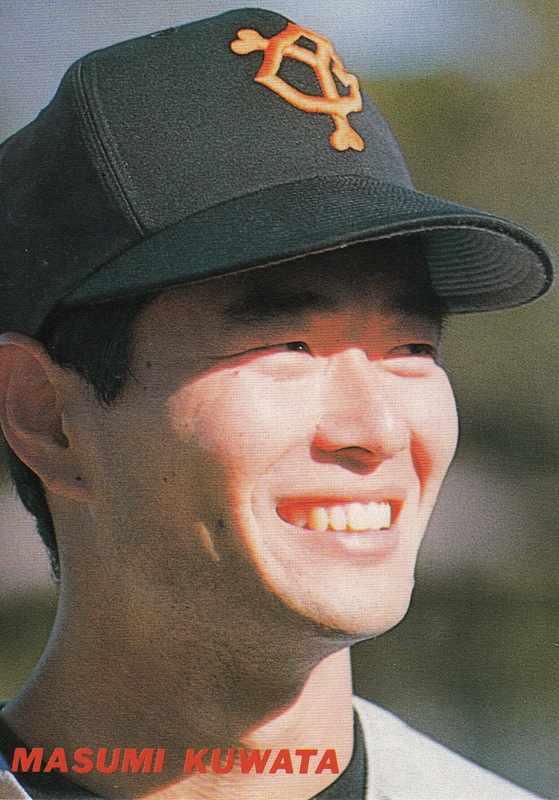 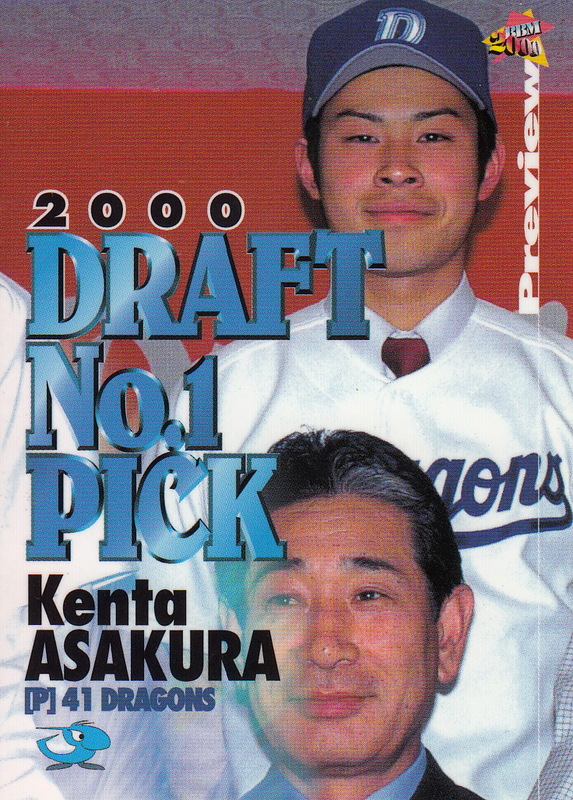 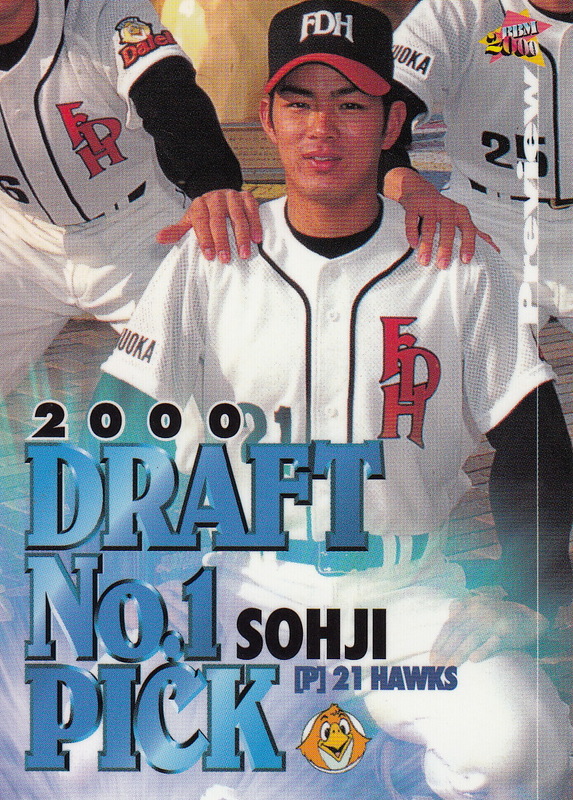 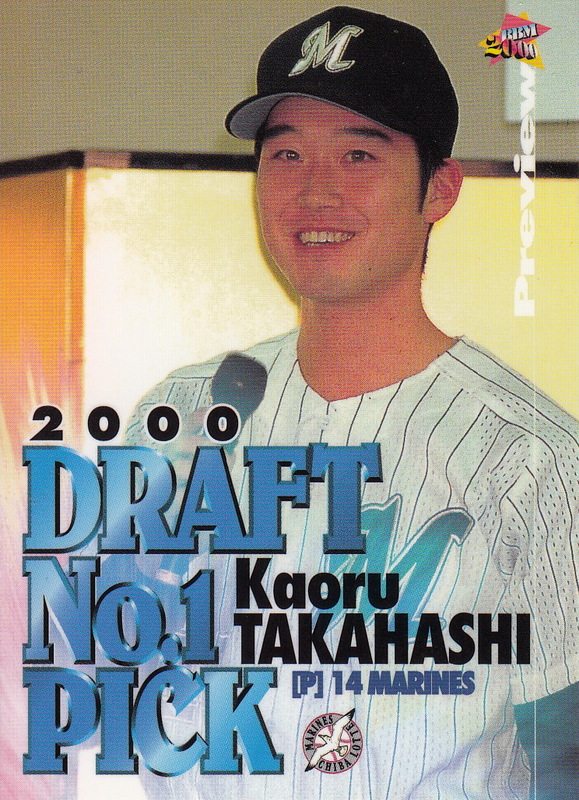 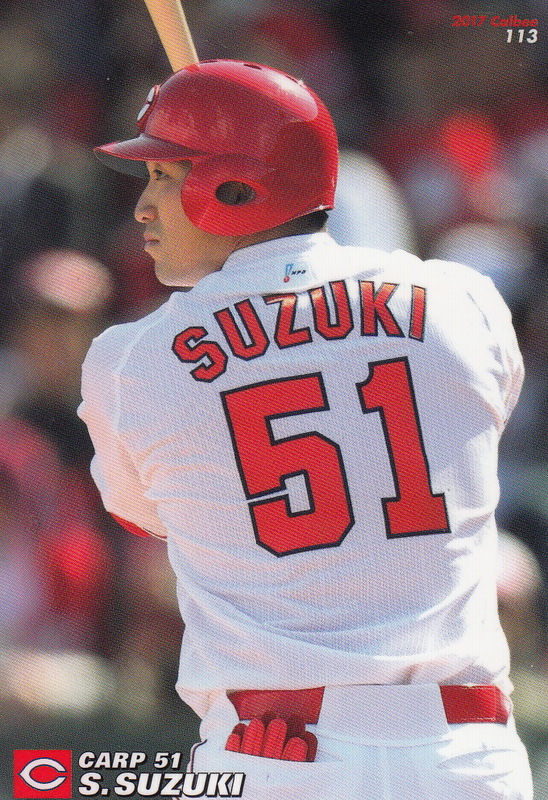 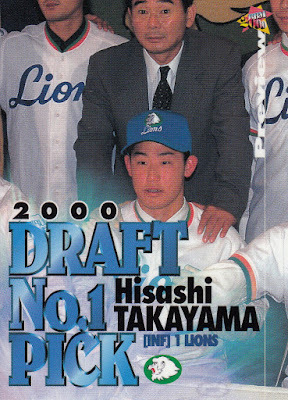 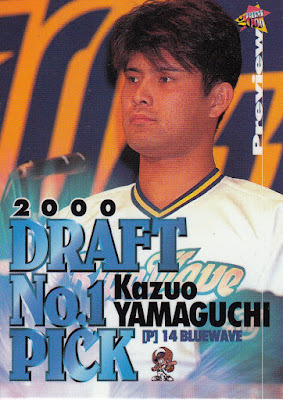 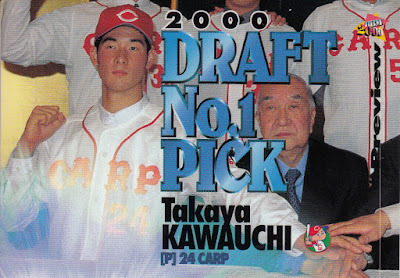 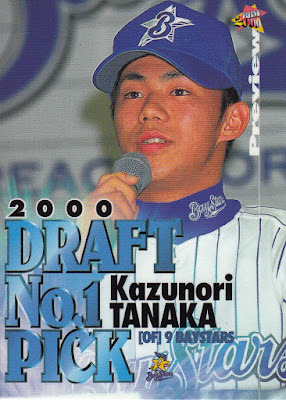 He was drafted by the Chiba Lotte Marines in the fall of 2000 so his first NPB cards are from 2001. As always, thank you Ryan for tracking down all these cards and the rest of what I'll be posting about for me! Tadahito Iguchi of the Marines retired today. 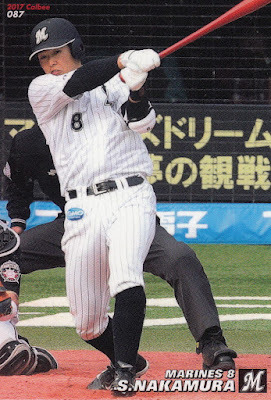 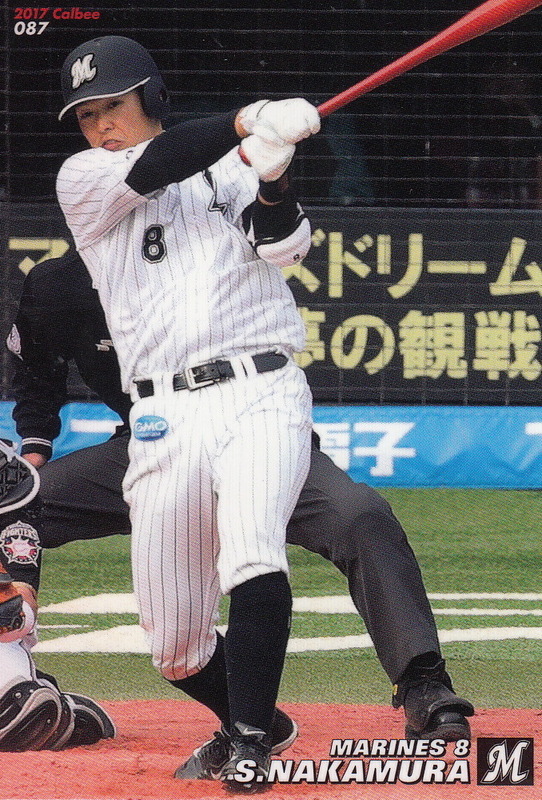 I'll be doing a post on his career soon but I wanted to do a quick post to highlight something my friend Hiro pointed out on Facebook & Twitter - that Iguchi's the third star Lotte player to wear uniform number 6. 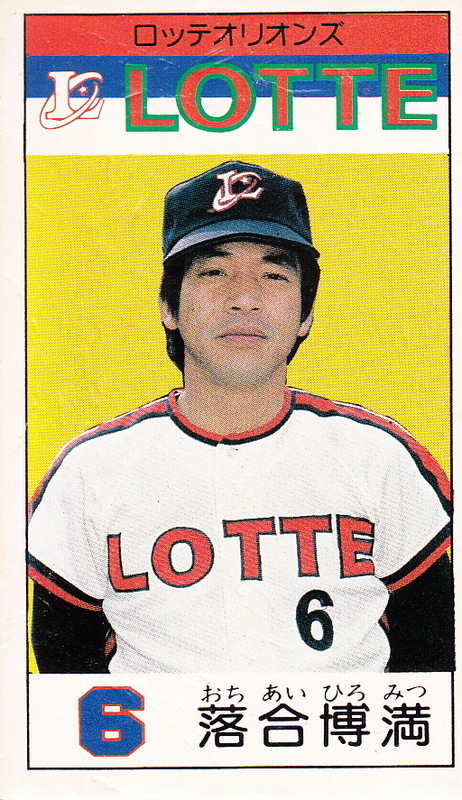 The first player Hiro mentioned was Hiromitsu Ochiai, who wore the number between 1979 and 1986 (when he was traded to the Dragons). The next player was Kiyoshi Hatsushiba, who switched to #6 from #0 in 1994 (after Seiji Kamikawa who had worn the number after being acquired from Chunichi for Ochiai retired) and wore it until he retired after the 2005 season. 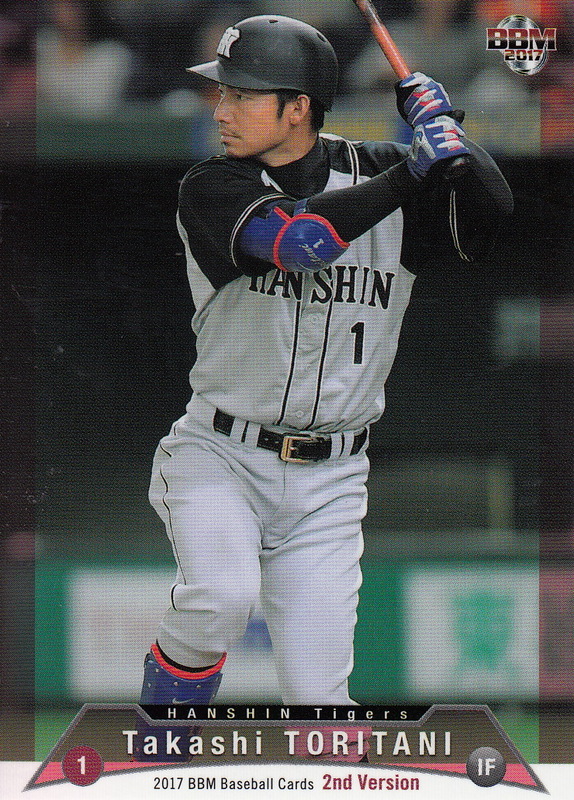 No Marine wore the number after that until Iguchi took it when he joined the team in 2009. - BBM is releasing a box set to celebrate the Carp clinching the Central League pennant. It's called something along the lines of "Successful Achievement" and each box will contain 46 cards - a 45 card base set plus one "special" card. 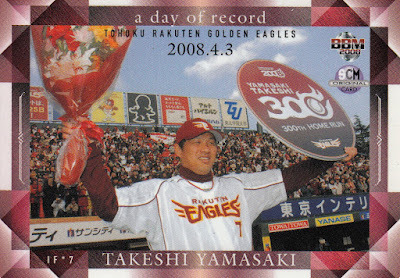 The 45 card base set is split up between 36 "regular" cards and 9 "name scene" cards. 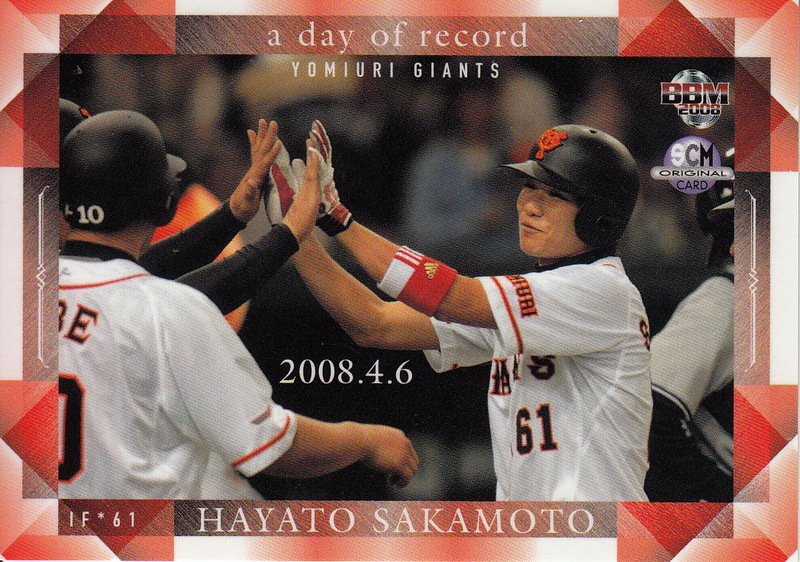 The "special" card will either be an autograph card or one of five possible oversize 3D cards. 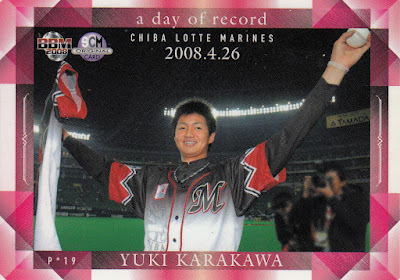 This set sounds very similar to the one BBM released last year to celebrate the Carp winning the CL. 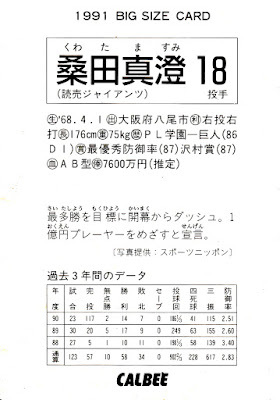 Considering that it's possible to get an autograph card out of it, the set is somewhat reasonably priced at 3000 yen (Discount Niki has it for 2780 yen). 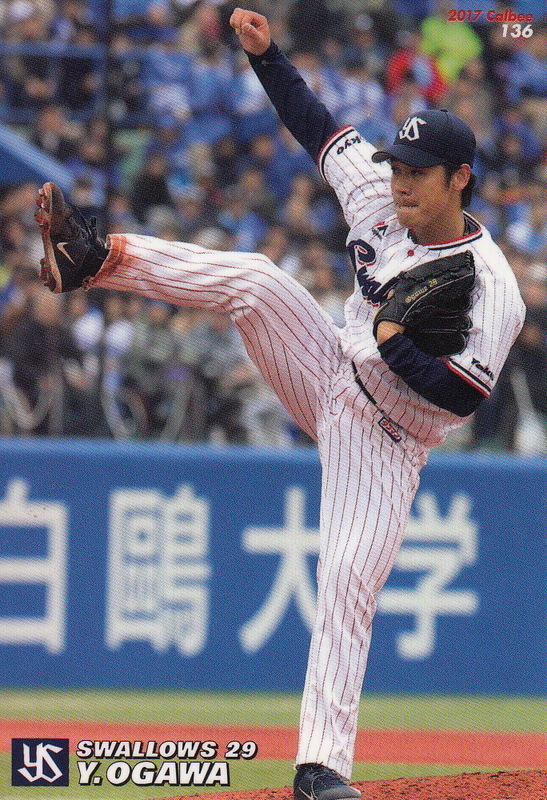 It will be released in mid-October. 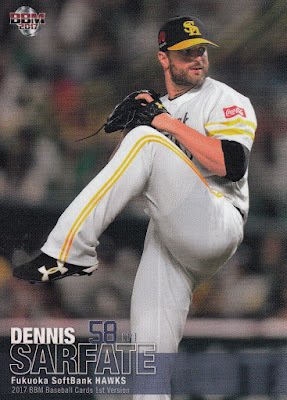 - I spoke too soon last week about Topps being done with their WBC cards for the year. 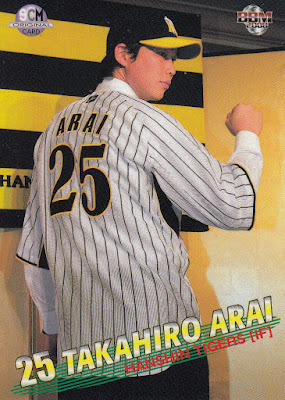 They've just released the "Triple Threads" set and it includes five different relic cards for the Samurai Japan team. There are "World Baseball Classic Relic Cards" for Hayato Sakamoto, Kosuke Tanaka, Yoshitomo Tustsugoh and Tetsuto Yamada plus a "World Baseball Classic Relic Combo Card" that features Sakamoto, Tsutsugoh and Yamada on the same card. 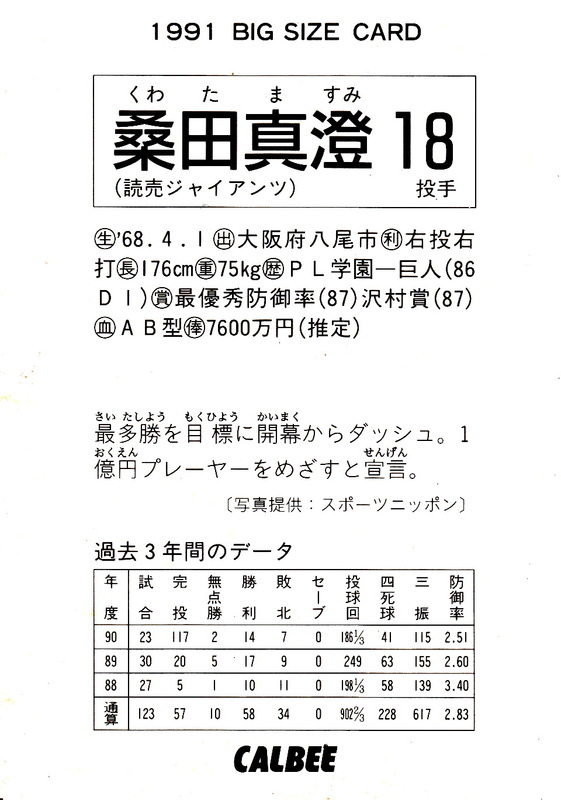 I think they're all serially numbered but I'm not sure what the counts are. 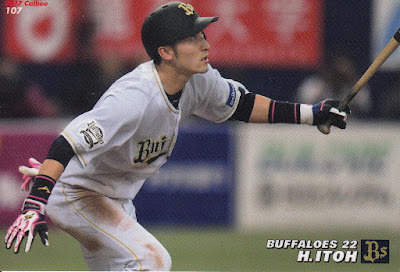 The set has already been released and there are cards available on Ebay. 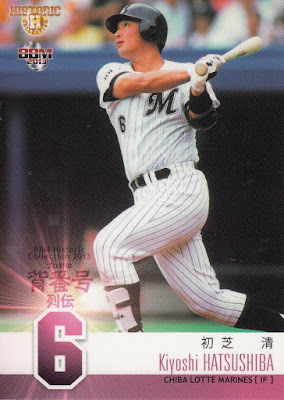 Calbee's Series Two set this year was released about two weeks ago - about 2 and a half months after it would normally have been released due to the lack of a suitable potato crop for making chips. Despite the delay, it's pretty much what we've come to expect from a Calbee set so if you've liked the previous ones, you'll like this one too. Like Series One earlier this year, Series Two has 72 "regular" player cards that are split evenly between the 12 NPB teams so there are six cards per team. The set includes a lot of stars - Seiya Suzuki, Shogo Akiyama, Takeya Nakamura, Daichi Suzuki, Seiichi Uchikawa, Shintaro Fujinami, Kosuke Fukudome, T-Okada, Yusuke Nomura, Kazuo Matsui, Yuki Matsui, Eigoro Mogi, Yasuaki Yamasaki and Shuichi Murata are all in the set. 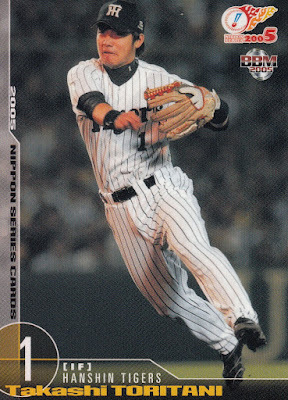 I'm fairly certain that none of the players who had "regular" cards in Series One are in this set. All the cards (including the Star insert cards and the mail-in box set) can been at Jambalaya. 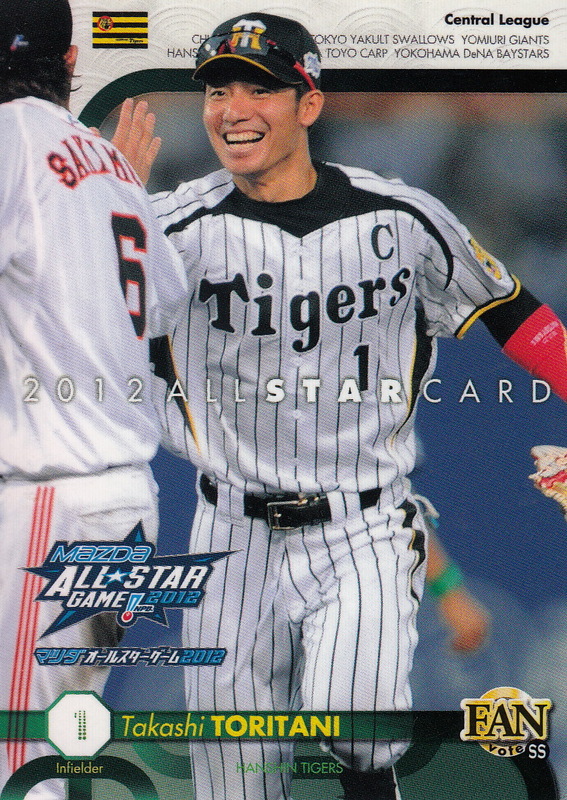 Normally Calbee does three sets a year and the third set is typically released right around now. But that's all up in the air now with Series Two being delayed so long. 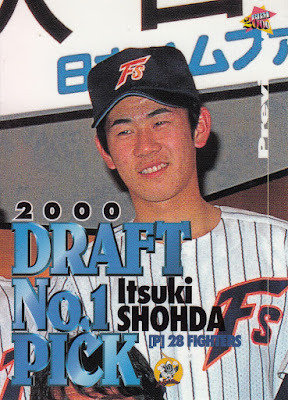 I don't know if and when a Series Three will be released. I've sent questions to Calbee and their response basically has been to tell me to wait and see. Obviously it would be disappointing if they didn't put out a third set, especially because many of the very top players in NPB - Shohei Ohtani, Tetsuto Yamada, Yoshitomo Tsutsugoh, Takehiro Norimoto, Tomoyuki Sugano, Yuki Yanagita and Hayato Sakamoto for example - did not have "regular" cards in either Series One or Two. Most of these players were in the "Title Holder" subset in Series One and it's not unheard of for a prominent player to not have a "regular" Calbee card - Masahiro Tanaka only had cards in the "Title Holder" and "Opening Day Pitcher" subsets in 2012 for instance - but this would be a LOT of players without "regular" cards. 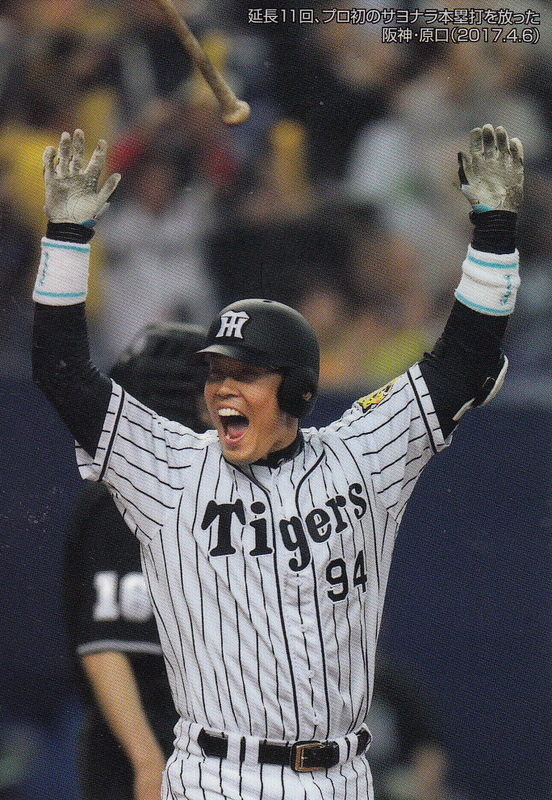 But all we can do is wait and see. 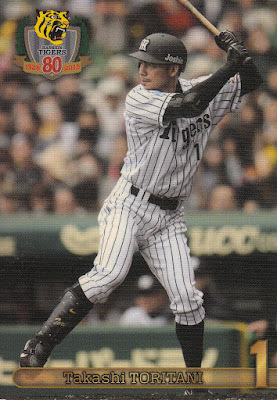 Back on September 8th Takashi Toritani of the Tigers became the fourth Japanese player to reach 2000 hits this season. 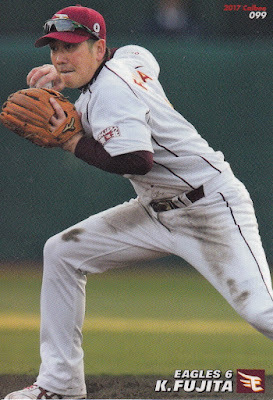 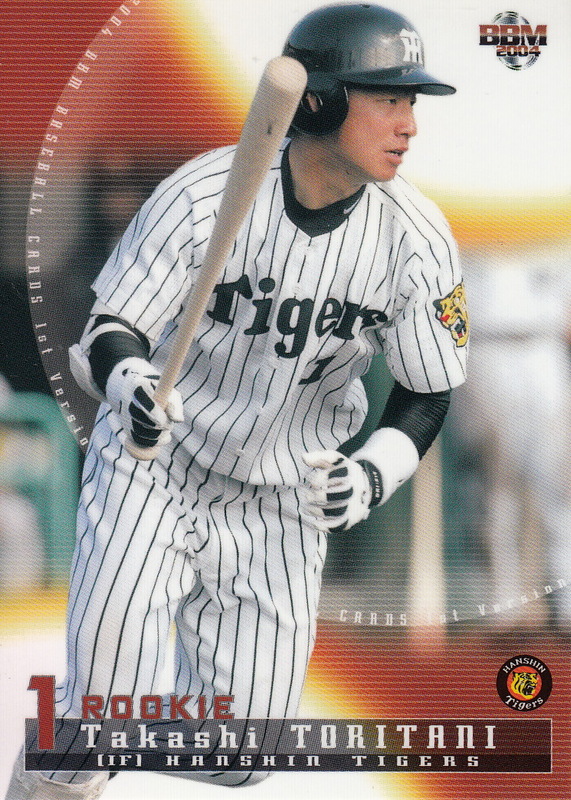 Toritani was the Tigers fourth round draft pick out of Waseda University back in the fall 2003 draft. He's been with the Tigers ever since, having taken over the starting shortstop position from Atsushi Fujimoto in 2005. 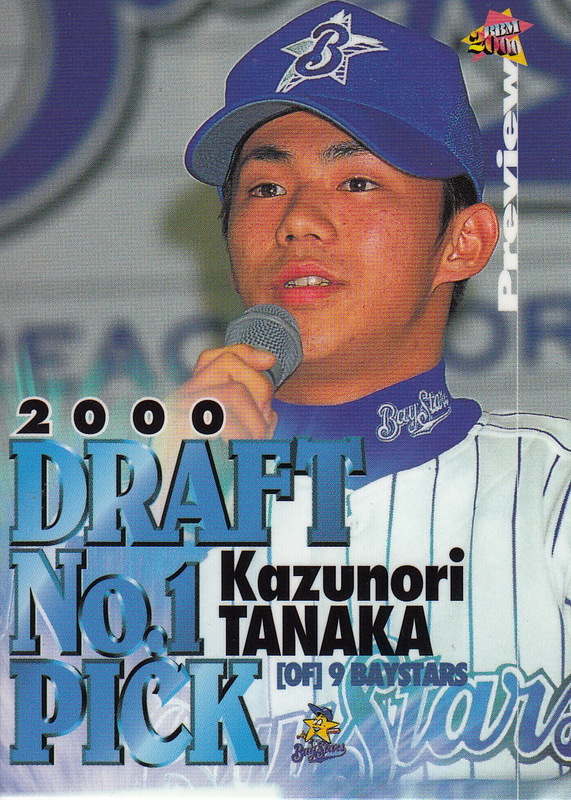 He's made the All Star team seven times (2005-06, 2012-15, 2017) and been named to the Best 9 team six times (2008, 2010, 2011, 2013-15). 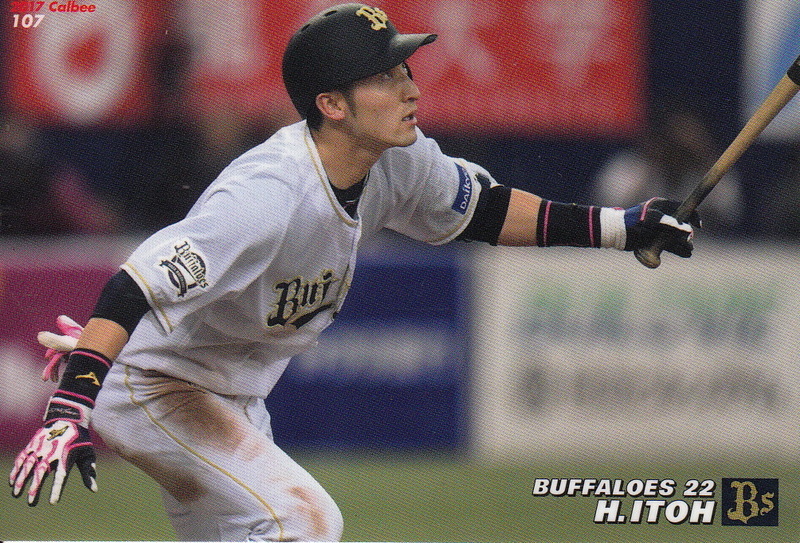 He's also won four Golden Gloves (2011, 2013-15). 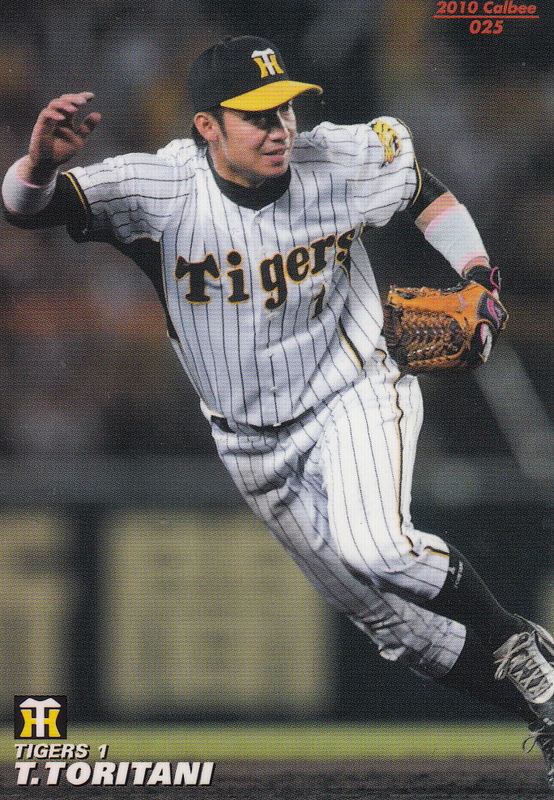 He has played in two Nippon Series (2005, 2014), both in losing efforts for the Tigers. He's played for the Japan National team once for the 2013 World Baseball Classic. 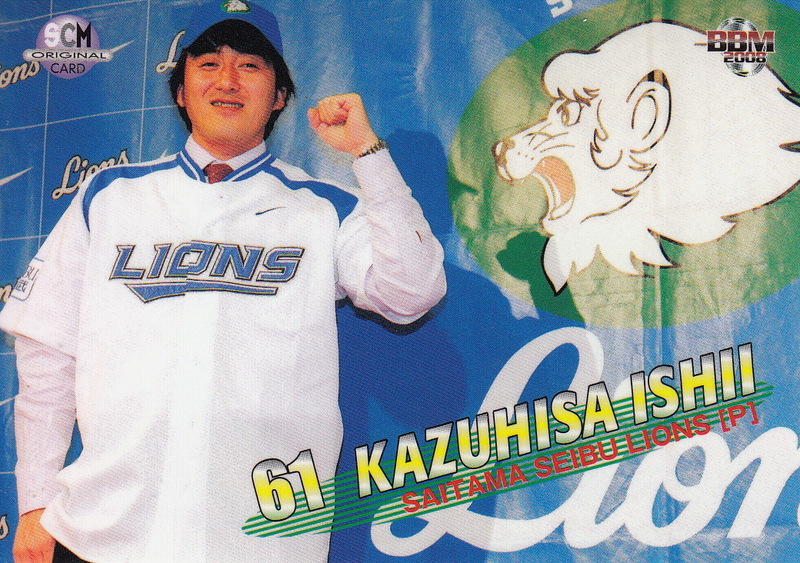 He made an attempt to come to MLB following the 2014 season but while he did attracted some interest, he didn't get a deal that he was happy with and he stayed in Japan. 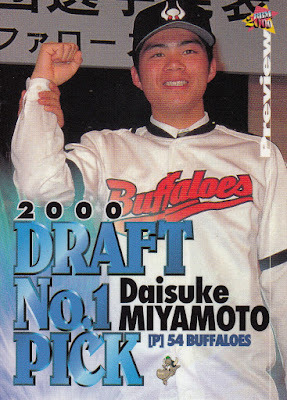 The first card he ever appeared on was #40 in the 2004 BBM Rookie Edition set which I don't have. Former Yakult Swallow and Hanshin Tiger infielder Dave Hilton passed away this past weekend at the age of 67. 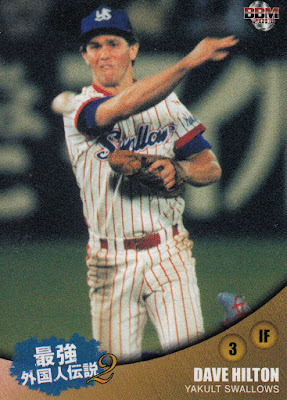 Hilton had played for the Padres as well as in the Blue Jays organization before joining the Swallows in 1978 and helping them to their first ever Nippon Series Championship. 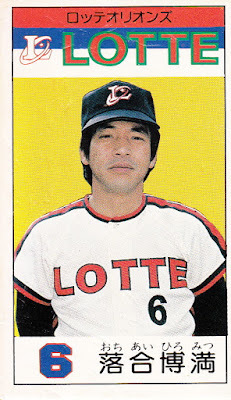 His numbers dropped in 1979 and Yakult let him go at the end of the season. He joined the Hanshin Tigers for 1980 and was the center of controversy when Hanshin fans were upset that manager Don Blasingame was starting Hilton at second base instead of popular rookie Akinobu Okada. Hilton ended up getting released by the Tigers after only 18 games and he returned to the US, signing a deal with the Pirates to play with their AAA team in Portland, OR. 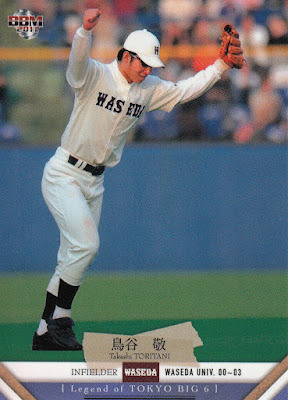 He retired as a player following the 1982 season. 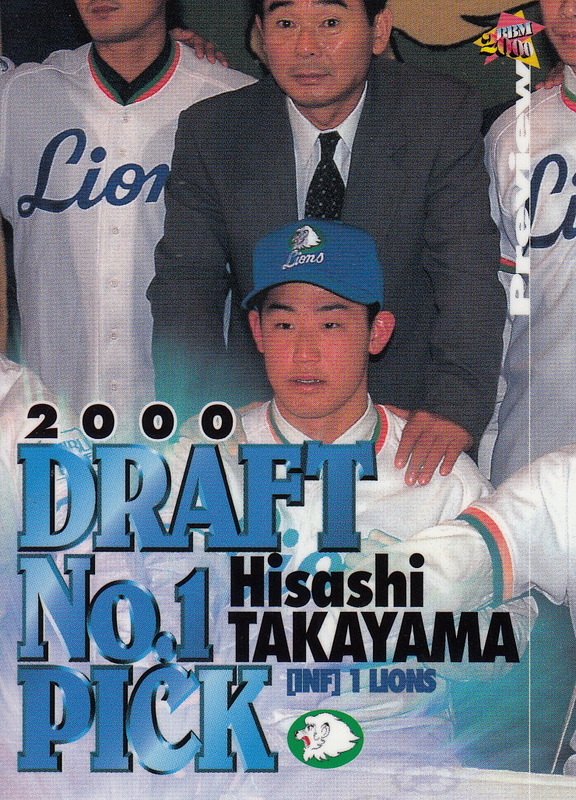 He managed at the minor league level a couple of times and eventually founded a youth baseball school in Scottsdale, Arizona. 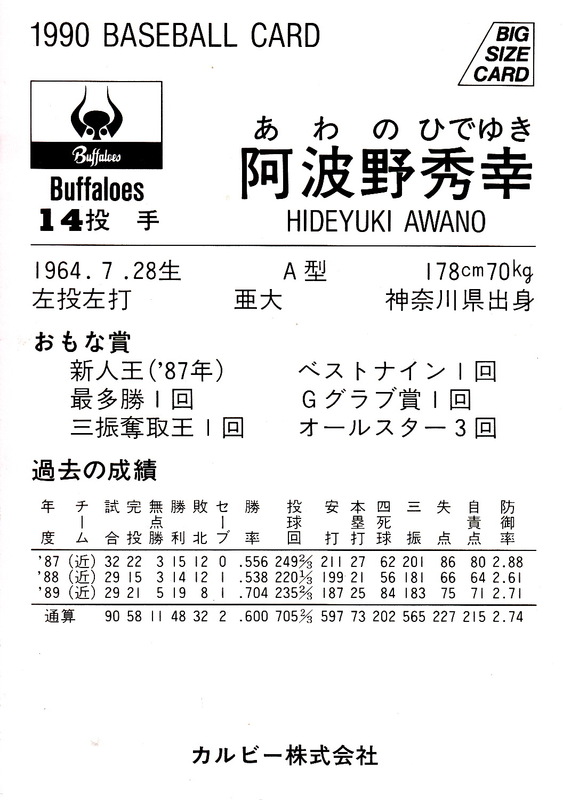 One of the interesting tidbits of trivia about him is that Japanese writer Haruki Murakami has credited seeing Hilton hit a double at Jingu Stadium as the inspiration for him to become a novelist. 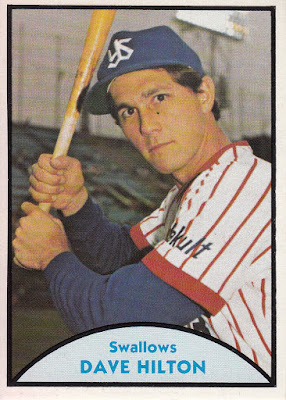 Hilton's 1973 Topps rookie card also has Ron Cey and Hall Of Famer Mike Schmidt on it so it's a bit pricey. 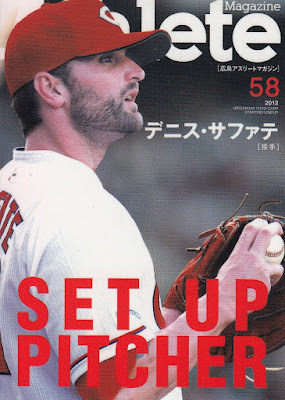 I used Hilton's Baseball-Reference Bullpen biography as a primary source for this post. 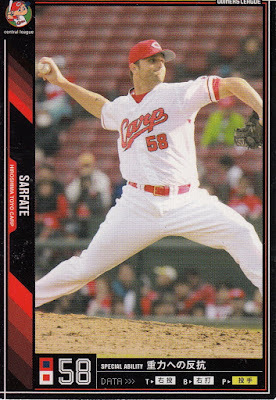 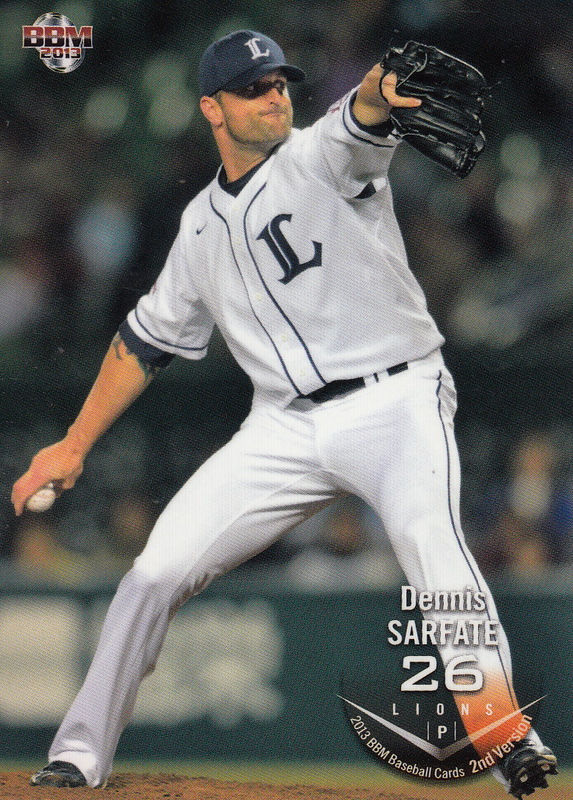 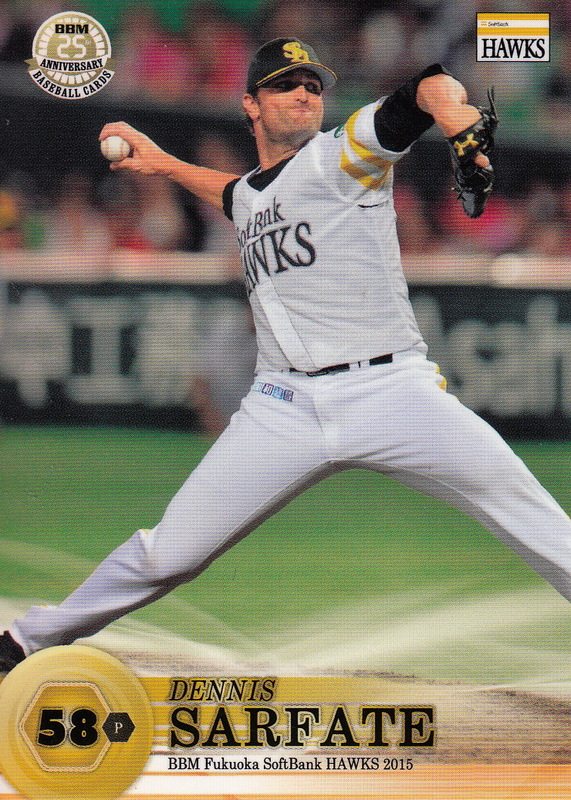 Hawks closer Dennis Sarfate broke the NPB single season record for saves a couple weeks back when he notched his 46th save this season, breaking the record of 45 held jointly by Hitoki Iwase and Kyuji Fujikawa. He has since extended the record to 51. Now that the Hawks have clinched he's going to take some time off but he'll get some more chances to add to the record starting this coming weekend. 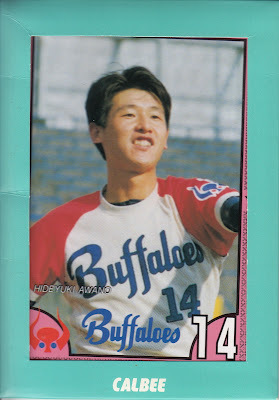 From time to time over the years Calbee offers cards that are only available as part of some sort of mail in redemption process. 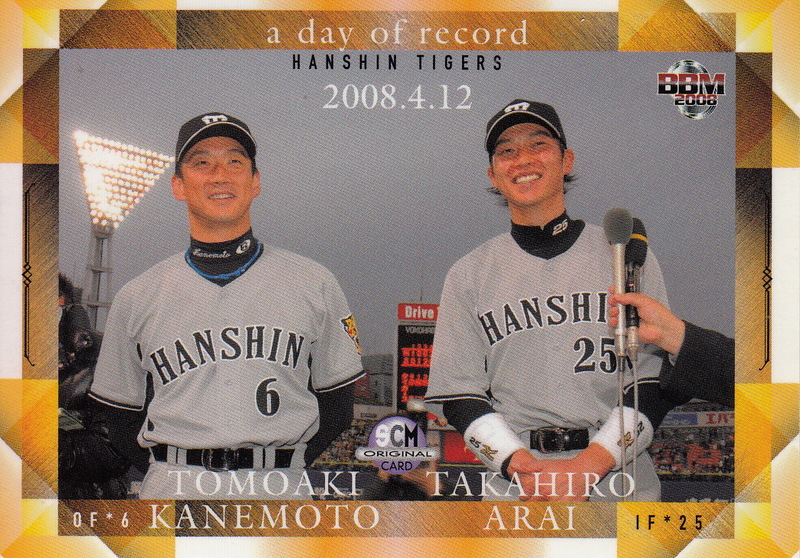 A couple of times the cards available have been oversized cards. 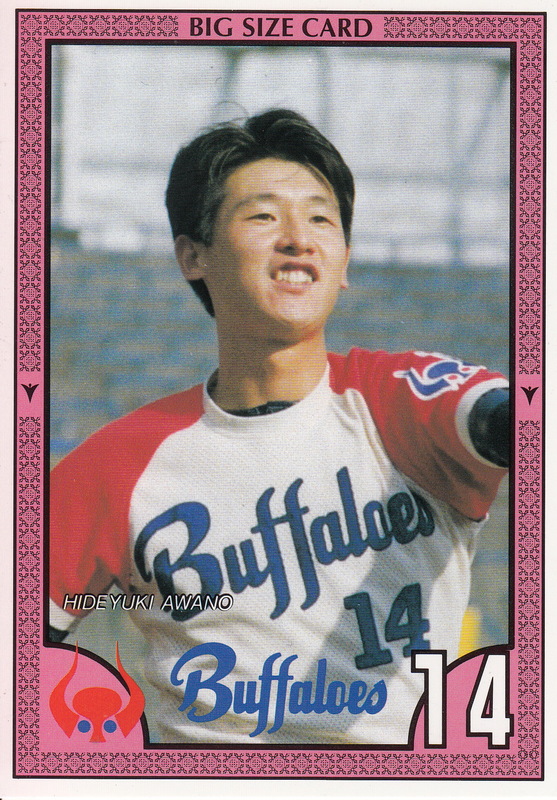 The first time they offered the oversized cards was in 1973 and I don't have any of those cards (they are extremely scarce). 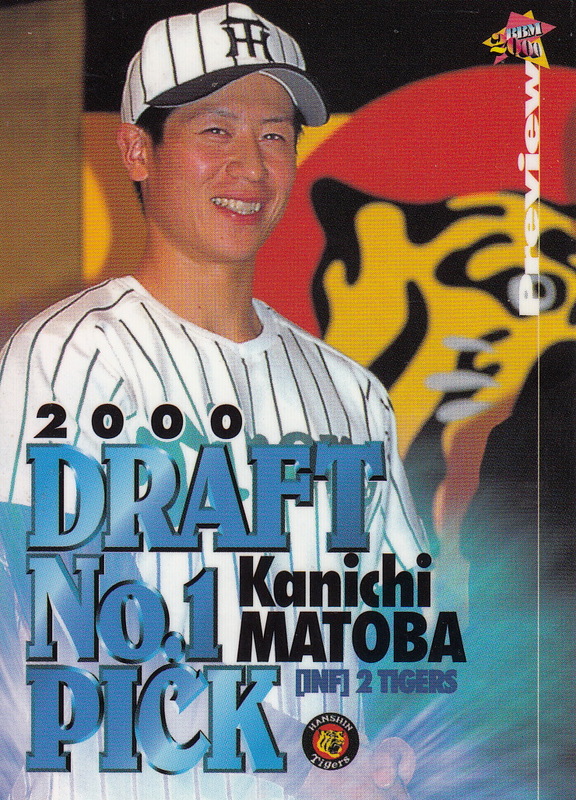 They did it again in 1990 and 1991 and I have a couple examples of those. 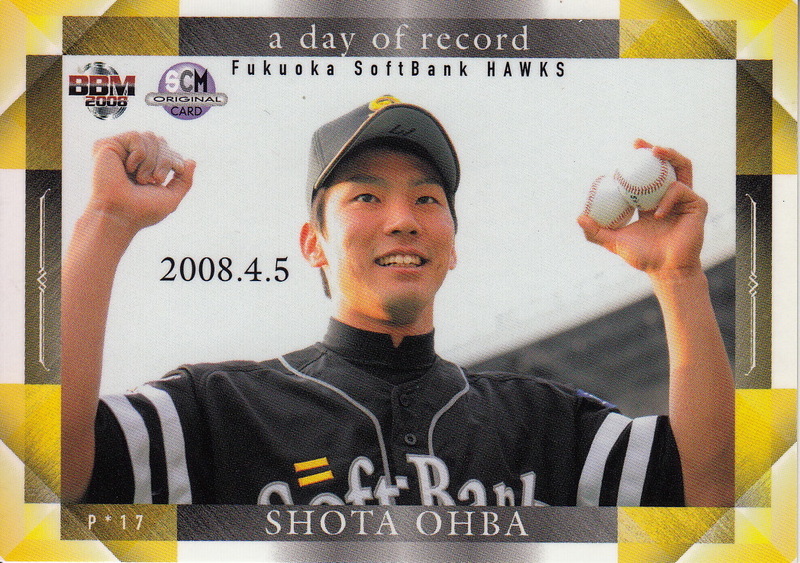 The fronts of the second series cards (which I don't have) simply showed a full bleed photo of the player along with a facsimile autograph. 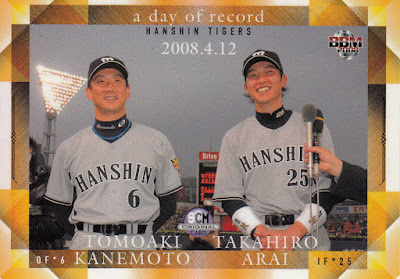 The backs were blank. 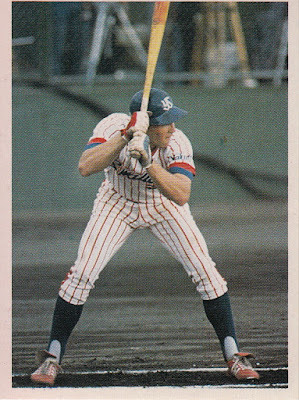 According to Engel (where I'm getting most of the background information for these cards from) the cards were issued with a plastic holder of some sort. 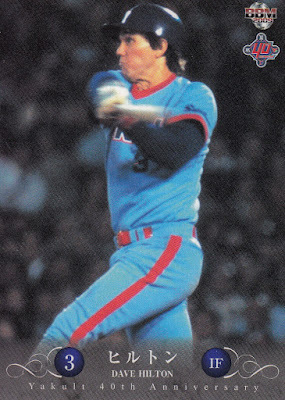 At 3 3/16 inches by 4 19/32 inches the 1991 cards were slightly smaller in size than those of the previous year. 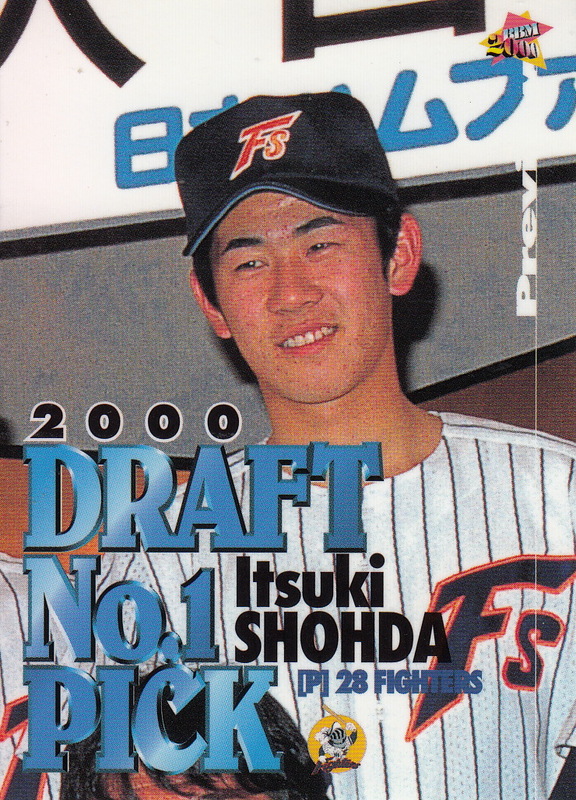 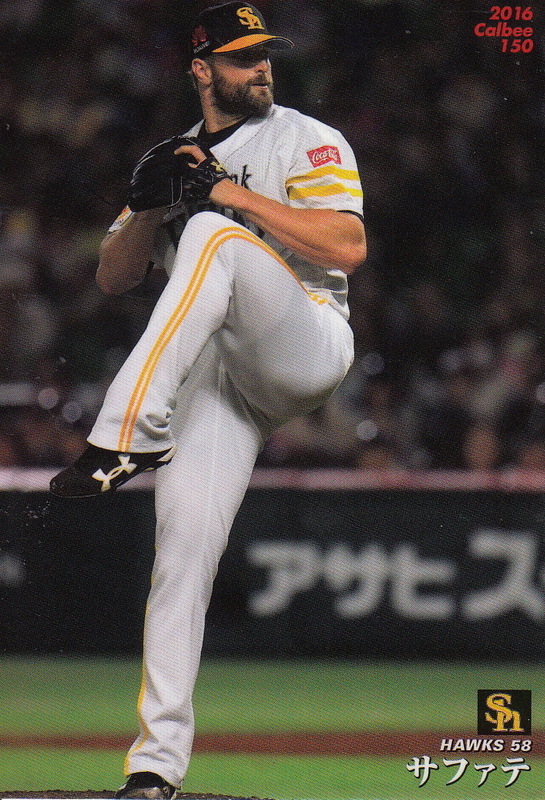 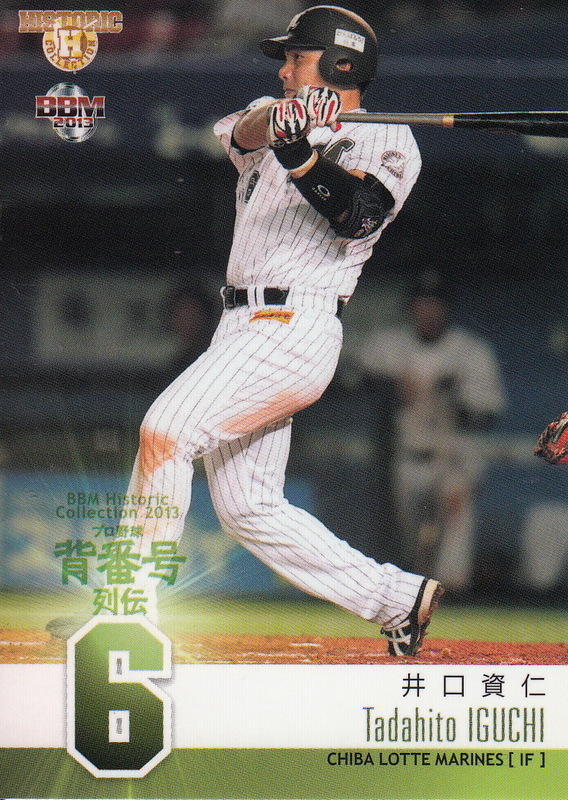 The fronts had a full bleed photo of the player along with the player's name in English - very similar to the design of the regular Calbee cards that year. 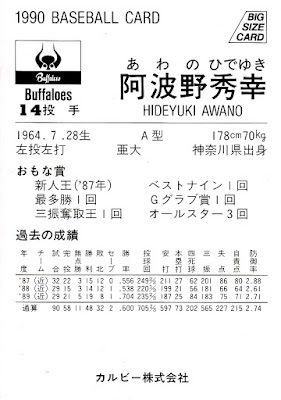 There were 24 cards in the set and each card had player info on the back that was similar to the info on the back of the regular cards. These cards were also issued with a plastic holder.